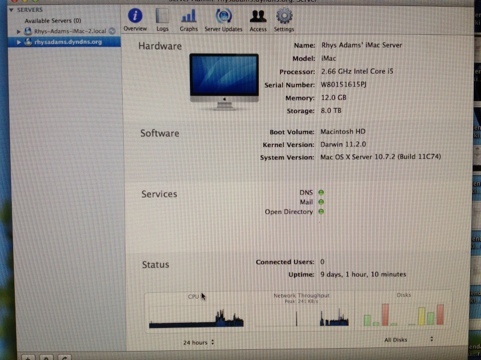 iMac Server! Up and running! So today I decided I was going to have a go at setting up the Mac Mini Server that I’ve had sitting around for the last year. It did have Tiger Server on it but I decided to upgrade it to Lion via the App Store. Downloading was easy enough, and when ready it gave me step by step instructions of how to start. I will keep you posted as I progress through the installation.